Offer your guests this fish recipe as a starter from the Oriental Cuisine. The oven baked fish patties are made with fresh haddock, flavored with galangal, lemongrass and red chilies. Preheat oven to 180ºC (375ºF)/gas 5. In a bowl mix together the mashed potatoes, cooked haddock, spring onions and 125ml of the KNORR Blue Dragon Thai Red Curry Sauce. Divide the mix into 30 even portions, and form into patties. Coat each one in flour, egg and then breadcrumbs. Place onto an oven proof tray and bake in the oven until golden and thoroughly cooked. Heat the remaining KNORR Blue Dragon Thai Green Sauce and then keep warm. 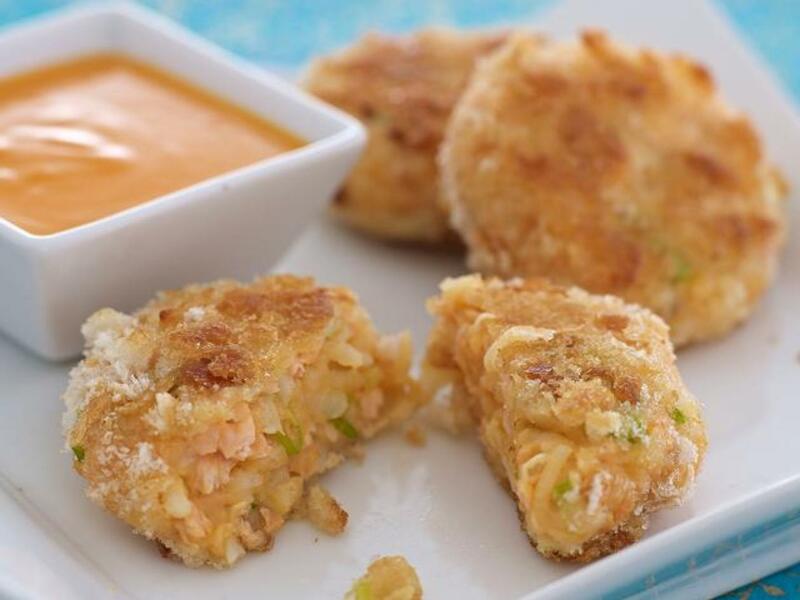 Serve the fish cakes centre of plate with a little sauce drizzled around.